After a four month hiatus following TGS 2015, Square Enix has taken to the internet again with another “Active Time Report” for Final Fantasy XV. This time, fans were given substantially more information, specifically regarding some of the lore and combat systems, and were shown footage that may start convincing them that this is actually a real title. The broadcast began with what will be the final “progress report”, according to the game’s director Hajime Tabata, as there really isn’t much left that’s “in progress” to be shown (he says). Sure to make fans happy, there was a few seconds of footage depicting a player-controlled toad, indicating (and confirmed by Tabata) that enemies will cast the infamous status-effect spell. 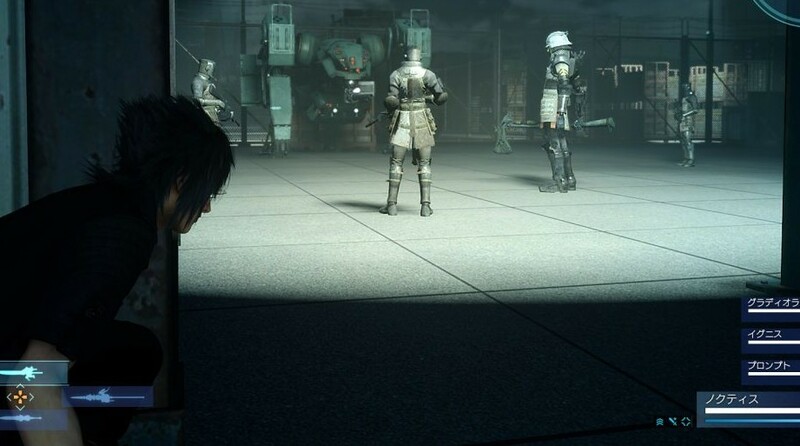 More exciting was footage showing of an infiltration sequence, one of many if Tabata is to be believed, where Noctis used his warp-blade ability to sneak around and execute take down attacks on unsuspecting enemies. Of course, the team was detected, and all hell broke loose. It is here where the most interesting tidbits came through, as during combat it was shown that not only will party members randomly trigger tag team combos a la Episode Duscae, but Noctis can issue commands to them as well. These special attacks and combos are tied to a skill tree, says Tabata, that progresses as the rest of your party levels up, indicating the player will have greater control over other members of the cast than we thought. Ignis froze an enemy on command as Noctis went in for a warp-blade kill, and Gladio executed a powerful area-of-effect attack. While fighting a magitek weapon, the team was able to break open the hydraulic system, causing oil to coat the floor. Noctis subsequently tossed what looked like a grenade, and the room lit up in a gorgeous blaze. Tabata said, however, that this grenade was actually an item that would be the cornerstone of the magic system in Final Fantasy XV. Similar to the “Draw System” of Final Fantasy VIII, Noctis will absorb energy from points in the game world and store it in an item as a magic attack. Furthermore, magic will both affect and be affected by the environment. Fire will spread through grass and burn wooden structures, but be put out by rain. While the power of the magic shown seemed impressive, Tabata warned that it will damage friend and foe alike if used improperly. Combat seemed much more fluid in the segment shown. Tabata talked about how the camera had been refined to account for enemy distance-an issue in Episode Duscae-and how the UI has been updated to map everything to a button as opposed to having a menu. Overall, the impression I took away was that the combat system of Final Fantasy XV has been more thoroughly fleshed out since the Episode Duscae demo. The presentation also took some time to explain a bit about the story of Final Fantasy XV, specifically details concerning the Empire of Niflheim that serves as the primary antagonist. 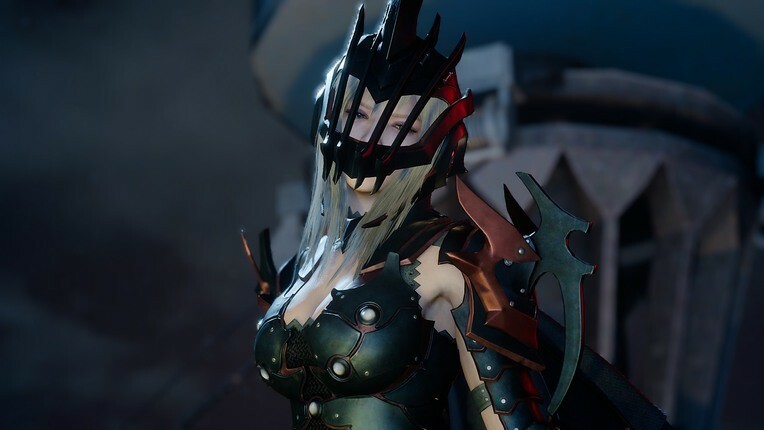 They are a technological civilization, Tabata said, that utilized magitek armor and soldiers to conquer most of the game’s world-apparently, all of those armored suits in the demo were robots. The Kingdom of Lucis, of which Noctis is a prince, uses the Crystal and magic to defend themselves, and are the last remaining power to defy the Empire. This, of course, should sound somewhat familiar to longtime fans of the series. Alongside a look at some of Niflheim’s figureheads, such as Emperor Iedolas and Chancellor Ardyn, fans were introduced to a new character called Aranea Highwind. A female dragoon, she is the leader of a mercenary unit from Niflheim. While it appears that she begins a villain, I would imagine that her mercenary status was very intentional. Finally, Tabata commented on the event that Square Enix has been teasing for March. It will be held on the 30th in Los Angeles, at 7:00 PM (PST), and Tabata implied it would be the time for a release date announcement. Furthermore, he teased more details about a “technical demo” that would help “introduce players to the world of Final Fantasy XV.” Now that we are finally getting more concrete details and in-depth looks at the game, a 2016 doesn’t sound crazy at all for the long-awaited title.